Time has changed when printers were only used in offices for printing purpose. With the advancement in technology, a compact printer with wireless feature came in the trend that is specifically made to serve both home and office printing needs. Some of the users may still be using the home printers just to print a simple black and white document or a letter. But with the power today’s technology has given us, we can do a lot more than we have imagined. 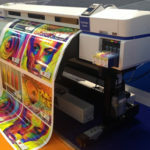 The latest printers available in the market can print high-quality graphics, professional-looking photos and connect to cloud. Other plenty of tasks handled excellently by home printers, both for children and adults, will even convince those who argue against home printer ownership. So let’s have a look at the advantages of having a printer at home. Having your own printer can save a considerable amount of time and money both. The money you spend over the years on printing can be saved when you print your stuff at home. Getting your print jobs done through printing services available is twice more expensive than printing at home. It becomes even more efficient when you require immediate printouts to meet the urgent deadlines and you don’t have time to visit a printing shop. This is one of the most beneficial aspects of having a home printer. 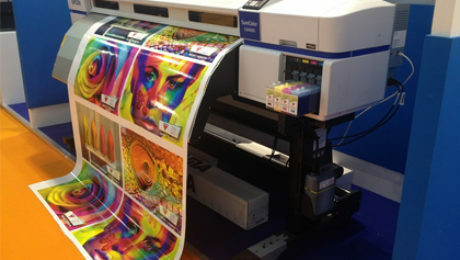 You can customise your print work the way you want – which is not always possible when getting it done by a print shop. Those who own a small home-based business can create their own business cards. Initially, this might not sound very interesting, though. But as you begin customising your business cards at home you may not want to go back to a print shop which is a costlier deal. You can also print invoices, reports or other documents for official purpose as and when required. You can customise and create your own personalized booklet, paper pads, home organizers, inserts, calendars, and more. You can print professional quality photos right at home which is one of the most cost-effective ideas one could have. Nowadays, a lot of schools and educational institutes require students to bring colour photographs for a variety of assignments and projects. That is when the home printer becomes a must-have thing. Papercraft is a popular task adopted by schools as a part of studies for children. It has its importance at the commercial level too. Using your home printer you can create beautiful paper models as per your imagination in a cost-effective way. Home-business owners can create logos and artwork to display their business information outside their residence most effectively. Businesses nowadays are asking their employees to work from home. With wireless printers that are Google Cloud ready, you can print anything you need when you work from home. If you opt for a multifunction printer, you are capable of printing, scanning and copying documents on your own. Plus, you can even send a fax of document or image when required. 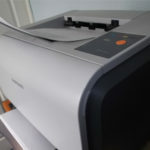 Furthermore, the latest technology used in printers allows you to connect the printer to the internet anytime you want. Even while being away from home you can send print commands to your printer using your laptop, smartphone or tablet. This feature has brought great ease to those who need to print documents all the time. The list of advantages of having a home printer is not exhaustive at all. Because it all depends on your creativity and imagination to bring out maximum potential out of high-tech home printers. 1. Canon MX725 A4 Multifunction Printer – The printer is an inkjet all-in-one with plenty of features including cloud, email, mobile printing, automatic multi-page copying, faxing, and scanning. It comes with a set of 5 printer cartridges (different colours) and a 2-sided, 25-sheet ADF that enhances productivity. The machine offers professional quality photos and text printing. 2. HP Deskjet 3630 All-in-one – This home printer is best for those who are looking for average printing performance at the cheap price. This budget-friendly printer is a lightweight machine that offers all the basic printing operations. Additionally, it provides HP auto-off technology, mobile printing, and manual duplex printing. 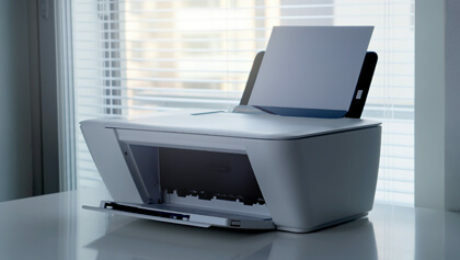 With this printer, you can manage your printing jobs with or without the network. 3. Brother HL-L2340 Wireless Compact Laser Printer – This printer from Brother runs with high printing speed and low maintenance cost. It comes with 250 sheets tray capacity and automatic document feeder. This monochrome laser printer is a perfect solution for small home-business owners who need to print documents frequently. Expensive ink and toner cartridges and frequent running out of these consumables is the biggest problem faced by owners of home printers. This is one of the core reasons why people hesitate to invest in home printers. However, this is where the role of cost-effective and reliable printer ink suppliers like the Printer Ink Cartridges in the UK comes to light. 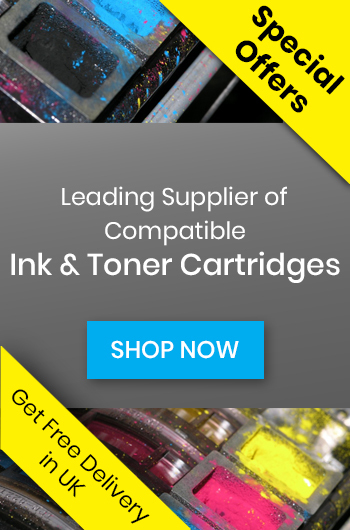 Printer Ink Cartridges is the leading premium quality printer ink supplier in the UK. The company provides its customers with a seamless shopping experience on its online ink cartridge site. The company offers compatible ink and toner cartridges at very low prices that save you as much as 70% compared to its original counterparts. Additionally, it also offers 100% money back guarantee on every consumable which provides first-time buyers a satisfaction with their purchase. Be it office or home printers, the biggest long-term savings can be achieved only through the purchase of compatible ink and toner cartridges. So, if you have a home printer or have decided to purchase one after learning its advantages, don’t forget to try some cheap and high-quality consumables offered by Printer Ink Cartridges. It might be possible that you have purchased new ink cartridges and it’s been a long time since u haven’t used them. In such case, storing ink cartridges in proper condition can increase the life of ink. If the cartridges are not stored properly, it may result in poor quality printouts and in such situation, many people replace their ink cartridges with the new ones. This process might involve lots of money and time. If your printer is not being used regularly, you can still save your ink cartridges from drying up. Here are the ways on how to save your ink cartridges when they are not significantly used for a long time. Store your ink cartridges always in standing position. When you open the ink bottle and started filling up the cartridges, then you should always remember to keep the ink cartridges standing in an upright position. You need to do this work very carefully. If you do not make the ink cartridges stand in an upright position it might cause the ink to mix with other inks. Companies do recommend making the ink cartridges stand in an upright position and if ignored the cartridges may leak and multi-coloured ink cartridges can possibly mix together. This is a very common issue that a user face. This can be avoided by following the tips mentioned above and hence it can increase the life of your ink cartridges. This is a very important point that you need to focus on. You must keep the ink cartridges in a cool place so that it doesn’t dry out quickly. The temperature of the room should not exceed the average room temperature and there should be a proper ventilation provided in the room. If you do not apply this condition, it might happen that bubbles start forming and this may result in leakage issue. If you fail to keep the cartridges in the proper environmental condition as recommended, your ink will surely tend to dry sooner than expected. If your ink cartridges are not used for a long time then you must keep the cartridges away from heat and dehydrate air because this can damage them. Also, you should remember that the head of the printer ink cartridges must be moist. The dry air might harm the cartridge head. To avoid such problems again, you can try these tips. You can also seal your ink cartridges within the original box in which the cartridges came, but ensure that it is sealed with an elastic band to avoid leakage issue. If you expose your ink to direct sunlight or some artificial light it might be possible that due to heat it results in a degraded quality of ink and will stop working in a short period of time. Always put your ink cartridges in a dark room or at a place with a low temperature. It will approximately keep the ink stored for up to six months. Simply store the cartridges in a cool, dark place until you need to use them again. If the cartridges remain sealed for a long period of time can last for up to two years, depending on its environmental conditions. These tips can secure the life of your ink cartridges and one can use them whenever the immediate requirement occurs. There is another way for the people who do not use their computer for longer time. It will be a great benefit for you if you Re-moist your printer sponge after every few days. By doing this and following the tips, you can surely increase the life of your ink cartridges and printers. One very common mistake that the customer make is that they do not use their printer on a regular basis. To avoid the problems caused due to irregular usage, you must clean the printheads of the printer. Cleaning the nozzles would definitely improve printers print quality. To attain the premium quality printouts, one must try doing this. According to some experts, if the ink cartridge is allowed to run out of ink, then it can literally damage the printer. Once you know how to correctly store the ink cartridges when not in frequent use, you will considerably increase the lifespan of the ink cartridges. This will eventually save your printer from any kind of damage caused due to improper storage of ink cartridges. Buying the genuine ink cartridges can be very costly if they get spoiled when not used on a regular basis. With these simple ink cartridge storage tips, you can store the ink cartridges for long so that it can be easily used when needed. Try to incorporate with these ink storage tips as these suggestions will not only save your time, but it will also save on your money. 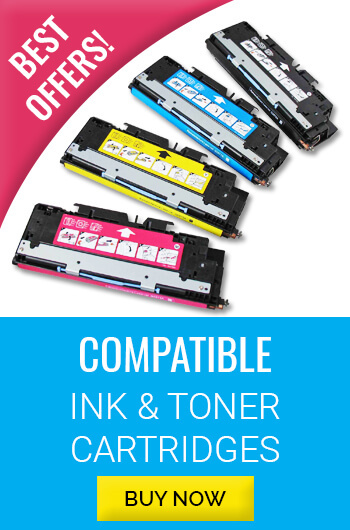 At Printer Ink Cartridges we deal in supplying the best quality premium compatible ink cartridges for the printers. The consumables we sell are strictly tested for quality and performance and are re-manufactured from original ink and toners following the ISO standards. Every product that we sell on this site is reliable and environment-friendly in nature and are tested for highest quality performance. To get more information on the methods to save your money on buying the expensive ink and toner cartridges, try using the compatible ink cartridges for your printer and save on your ink cost. These affordable range of cartridges are a big money saver and can be preserved for a long time when not in use. What Causes The Printer Ink Cartridges To Dry? Users have to face a number of problems while using printers. But the most common problem encountered by users is the printer cartridges drying out. Inkjet cartridges can be expensive. And if you encounter they are drying out frequently, it may force you into buying the consumables way too often leading to wastage of money. Not just money but a dried out ink cartridge may even ruin your prints. To avoid such situation it is important that you find out the causes that make the printer cartridges to dry out. So here is a list of the causes – learn them and prevent your bottom line from falling behind. Ink in the ink cartridges is made up of a number of chemicals including humectants that decelerate premature drying. However, if the ink cartridges are used occasionally, the ink can dry up within a couple of months. The infrequent use of printer cartridges is the most common cause. Take for instance that you have several printers in your office. But one of them is used rarely. Then the ink cartridge sitting your printer will be at risk for drying out. If the printer is not operated for several months the ink in the cartridge may dry up and become clogged. Hence, to avoid the ink from drying out, make sure you print regularly, at least once a week. Some printer professional recommend that even if the printer cartridge is used once in a month you can prevent it from clogging or drying out. It is important to note that in some inkjet printers even if the head of the cartridge is capped it cannot save the ink from drying out. If you seldom use the printer, make a habit of printing a test page and cleaning the nozzles at regular intervals. 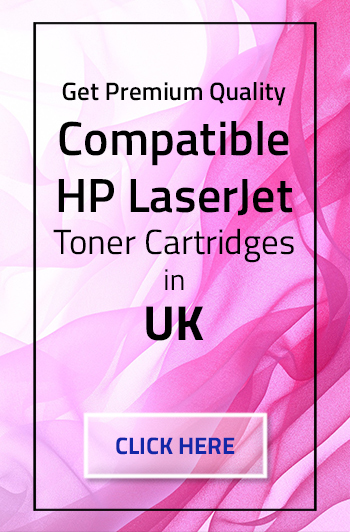 This will ensure that your printer and the printer cartridges are performing at its best. 1. 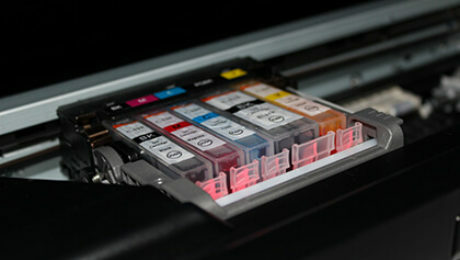 Position – When storing the ink cartridges, it is important they are placed upright. As this helps the ink to settle at the bottom of the cartridge, leaving breathable space that allows the ink to pass through the sponge (present at the top) smoothly. In case the printer cartridge is stored on its sides, it is possible that the ink may settle at the top of the cartridge which leads to blurry or streaky prints and dried-out ink. 2. Temperature – Like many other consumer products such as some perishable foods, temperature plays a huge role in maintaining the consumables efficiency and performance. If an ink cartridge is stored at extremely high or low temperatures, the ink will rapidly dry out. Therefore, ensure the printer cartridge is stored at room temperatures. Also, it is important to remember that the cartridges should be stored in a cool and dry place that is well-ventilated and away from direct sunlight. You should avoid keeping them near a hot sunny window or inside a hot car. Furthermore, during the summers and winters if you are using heaters and air conditioning up too high, ensure this doesn’t affect your printer cartridges. In case you will not be using the ink cartridges installed in the printer for more than a month, it is best that you remove the cartridges out of the machine and store them away. 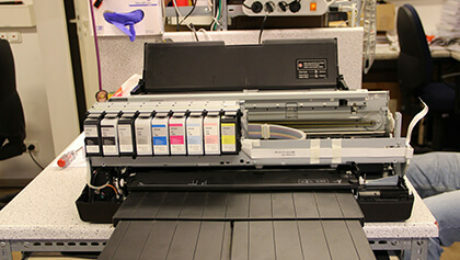 While storing, gently wipe the printhead on each cartridge to clean the ink buildup. Now you can place them in a resealable plastic bag with a damp paper towel and store as per the details discussed above. Many people tend to use refilled ink cartridges instead of replacing them due to their low cost. But you should know that if the ink cartridges are not filled correctly, it can lead to air entering the cartridge, drying up the ink and clogging the nozzle heads. Refilling a printer cartridge is a meticulous task that often requires a professional person to do it. Therefore, you should ensure that if you are using a refilled cartridge, the ink is refilled by a professional. If the printheads on the ink cartridge are not properly cleaned it may lead to drying out of the cartridge and clogging of the printheads. This is one of the common causes of unclear prints. Today, some of the inkjet printers are equipped with automatic printhead cleaning facility. In case you have such printer you need not worry about the cleaning of the head. 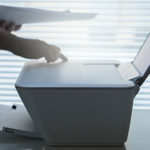 But the users who own a printer that requires manual cleaning, they can soak the affected cartridge in a small bowl of warm water and remove the dried-out ink with the help of a cotton swab or paper towel. After this step is done wipe the cartridge with a soft dry cloth. It is good to wear gloves before performing the cleaning. Also, before you install the printer cartridge in the printer to ensure that it is completely dry. Many first-time users are unaware of the fact that ink cartridges also come with an expiration date. If the inkjet cartridges are used after the expiration date has passed, that may lead to issues with printing. The expiration date is one the causes of cartridges getting clogged and drying out. So before you purchase the printer cartridges make sure to check the expiry dates. Dealing with inkjet cartridges is no easy task. If you really want to save your money from getting wasted you need to be alert with the maintenance requirements of the cartridges. 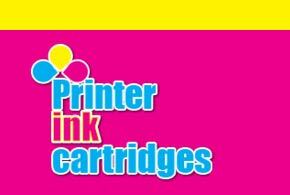 Printer Ink Cartridges brings to you the best alternative to your dried-out printer cartridges in the UK. 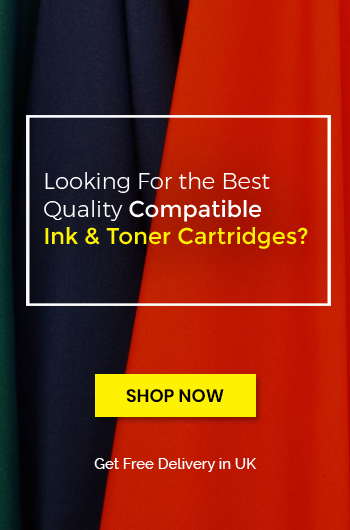 The leading online site offers high-quality compatible ink cartridges at cheap prices which can turn out to be the smart alternative to your dried-out ink cartridges. As mentioned, refilled cartridges are one of the main causes behind the drying out of ink. Yet, if you replace the refilled cartridges with compatible ink cartridges they can serve you with better efficiency and performance at almost the same price. It is always better to spend few pounds in buying something professionally guaranteed rather than spending pennies on buying something risky. Printer Ink Cartridges offers all its certified printer cartridges with 100% money back guarantee. Get the best deal on our site and invest your money in making your printing operations effective and efficient. While considering a new printer for home or office, both wired and wireless printers have their own advantages and disadvantages. Owing to this, businesses often end up making a wrong choice. 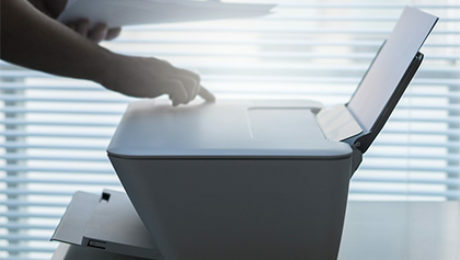 Understanding the benefits of wireless printers over wired printers can help businesses determine the right choice. So here are some advantages of the wireless printers that you can consider while planning for the purchase. more than one job site. With a wireless printer, multiple people in a house or an office can print their different documents or projects from where they are, provided they are networked to the device. Additionally, with the advent of Cloud and other online data storage centres, you can flexibly share documents between other people as well as devices. 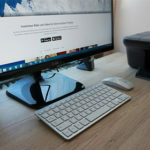 With the wireless device, you can directly print a document from the cloud without having to use the valuable space available on your computer. Today some of the most advanced wireless printers allow you to access and print from the internet to your printer while you are in a car, at a store or in the subway. So when you reach home or your office, you know that the document will be ready just with a press of a button. As the name suggests, wireless printers do not require a wire or cable or any installation process. They do not need any cable to connect to a laptop or computer. Setting up a wireless device is an easy task provided you are familiar with the process. If not, manufacturer’s user guide or manual can help you to complete the job easily. The only thing you need to set up a wireless printer is a router and a power cord that will connect the device to a power source. You can configure a printer to connect to a Wifi router by enabling the DHCP (Dynamic Host Configuration Protocol) option available on the device. This will be followed by obtaining the IP address of the printer which will be done automatically. Wireless printers offer to print to multiple devices without the need of device sharing configuration. Apart from computers and laptops, you can also print using other handheld devices such as smartphones and tablets. 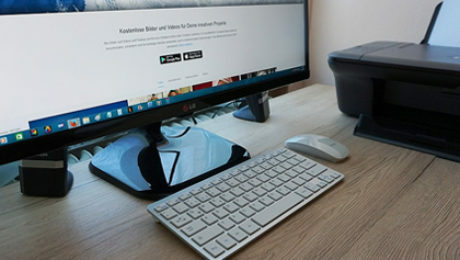 Another significant advantage of using a wireless printer is that no drivers are required to be installed if you want to connect the device to a computer or a laptop. With the evolving digital printing technology, a number of popular printer brands have introduced their own special apps or software that are compatible with iPhones, tablets and Android phones. For example, HP has launched ePrint app, Epson has its Epson Connect while for Android phones Printshare app is available on Google Play. Using these apps according to the printer brand you own, files and images can be easily printed using your mobile devices. A business mostly requires more than one printer to meet the requirements. So in case if you purchase a wireless printer it can easily cut down the investment on purchasing multiple printers. These wireless machines can accommodate a number of computers. However, the number usually depends on the setting of the workspace and the wireless system of the office. Furthermore, having a single wireless printer instead of multiple devices lowers the cost of purchasing ink and toner cartridges. As the long-term investments involved in purchasing consumables is always high this is one of the greatest advantages you will need to consider. In addition, most of the advanced wireless models available today provide options such as Economode printing and power-saving modes which help you to reduce the overall printing cost. Though wireless printers are expensive upfront, they are definitely worth every penny in the long run. Considering the above factors and the fact that these machines will not need a replacement soon, you can easily go for one. A wireless printing machine does not need to connect directly to a machine to finish the job. These printers have multitasking skills which allow users to get twice the job done from anywhere. For example, if one person is doing a print job in the office, others will not have to wait for their job to be done. Instead, even they can be networked to the printer and send their documents to be printed when ready. So wireless printers give freedom and flexibility to complete the job comfortably. Another point is that these wireless machines are mostly laser printers that are faster and more efficient than inkjet machines. They can handle more than tens of thousands of pages to be printed each month which is referred as the monthly duty cycle. Also, if your wireless printer is an all-in-one, it gives you the chance to perform multiple functions such as copying, scanning and faxing. With this, the document you scan, copy or fax can be straightaway sent to your computer, laptop or any mobile devices. Some wireless devices also allow you to check and send emails directly from the machine. They also enable printing from USB flash drives. So ultimately, wireless printers are highly efficient and cost-effective. Printer Ink Cartridges is a leading online supplier of ink cartridges and toner cartridges for all brands of a printer in the UK. 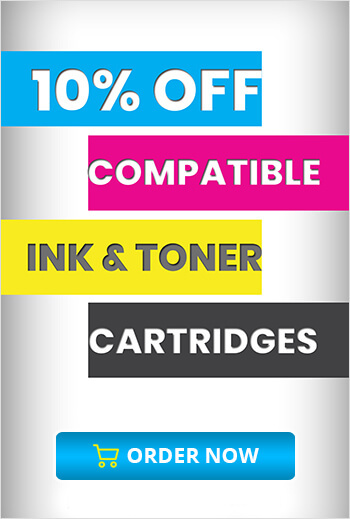 It provides superior quality compatible ink and toner cartridges at almost half the price of the original consumables. Some are available with savings as much as 75%. As wireless printers are usually laser printers, a wide range of toner cartridges and drums are available on the site with better features. Each toner cartridge provided by the site consists of a higher volume of toner than original counterparts that makes them last longer and print several times, as much as up to 50,000 pages. Another plus point is that every product is backed by 100% money back guarantee. So, if you have already planned to buy a wireless printer or have one set up in your office or home, the ink and toner cartridges offered by Printer Ink cartridges can double your savings. Bring one home and experience its ease of performance and savings in your pocket now! What are the Popular Printing Processes that are Used Today? The art of printing things has been recorded to be around since before 220 AD with the woodblock printing being the earliest of all. From then on, a variety of printing processes have evolved over time in the most revolutionary way. The technology of printing has had a significant impact on the development of the Renaissance and the scientific revolution. Eventually, it has laid the innovative foundations of technology for the modern-based economy where businesses rely greatly on printing processes. Today, a number of printing processes are popular among the industrial sector. Some are available with the most advanced technology yet some continue to evolve. But each type is suited for a specific need. Hence, businesses need to choose the printing process that best highlights their products and services. From the variety of printing processes available in the market, the most popular ones are listed here. The list should help businesses to understand how the processes differ from each other and which one should meet their printing requirements in the most effective way. Offset lithography printing is an indirect printing process that is based on the principle that water and ink do not mix. In this process, the content or the image that needs to be printed is transferred from a printing plate (generally made from aluminium) onto a flexible intermediate carrier which is a rubber blanket or a roller. From the carrier, the content is then finally transferred onto the print media. The metal plates are dampened by the blanket or the rollers with water and ink ensuring that only the oil-based ink is transferred onto the content area on the print media. Offset lithography is a versatile printing method as it can print on any flat surface including smooth material like paper and plastic or rough materials like fabric, cardboard, wood or canvas. Lithography gives out excellent quality images and photographs that are lucid, rich in details and vibrant in colour. An additional benefit of this type is that the more you print the cheaper is the cost involved. Hence, it is widely used in mass-production printing for an extensive range of products such as newspapers, stationery, corrugated board, posters, books etc. Unlike lithography, flexography is a direct printing process where the content that needs to be printed is on a relief plate made from natural or synthetic rubber. The relief plate with a slightly raised surface rotates on a cylinder, transferring the content or image onto the print media. The plate is dampened with water-based fast-drying inks of low viscosity that allow printing to be done on any type of absorbent or non-absorbent material including paper, metals, cellophane, plastic, foil, acetate film and even floor tiles. The fast-drying inks ensure a high-speed printing required for bulk products. Traditionally, flexography is used in product packaging and labels and to a lesser extent for newspapers. It is a highly cost-effective process if used in mass-production and printing products with continuous patterns. The quality of prints is accurate with no room for irregularities. It also gives a great level of chromatic balance and colour constancy. If you are in food products business, flexography is an ideal option. The printing adheres to the packaging surface firmly ensuring the safety of the product. Inkjet – An inkjet printer uses ink cartridges that ooze out in the form of tiny droplets from the nozzles of the print head onto the print media. Inkjet machines can print on a wide variety of media such as different types of papers, canvas, doors and even floor tiles. This type is popularly used in printing posters and signage due to a wide range of colours and high-quality end results. Mostly, the inkjet technology is deemed to be excellent for printing photographs. Xerography – Laser printers work on the principle of xerography. The image or content to be printed is created on the print media by selectively applying a charge to a metal cylinder called drum. The electrical charge attracts the toner particles from the toner cartridge and transfers it onto the media. Laser printers are mostly used in offices and small-scale printing of books, labels, newsletters, menus, letters and other types of documents. It is also used in banks for transactional printing such as bills and bank documents. Laser printing is popular for its accurate and high-quality printing of graphics. Both inkjet and laser printing are used in business for fast turnaround times, instant printing, and on-demand requirements. Both are highly cost-effective if used to print in low volume (for example 100 brochures or flyers). Gravure printing is also known as intaglio or rotogravure printing. Here, the design need to be printed is cut, scratched or etched into the printing plate. The ink is transferred from tiny cells to the print media by using high printing pressure. Typically, a media printed by gravure is identified through serrated edges on the letters and lines. Gravure printing is frequently used for bulk printing in the packaging industry, newspapers, magazines, wallpaper, gift wrap etc. Besides, printing technologies that produce exclusive printed items like stamps and banknotes work on the principle of gravure printing. Screen printing is a common method that uses a screen to transfer the ink onto the print media. 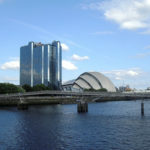 The screen which is generally made of fine fabric like silk or nylon, plastic or metal fibre is stretched and fastened over a wooden or aluminium frame. Next, the ink is placed on the top of the screen and with the help of a squeegee, the ink is pushed evenly into the screen pores and onto the print media. To avoid the transfer of ink on the non-printing areas, a stencil is placed over the screen to block the particular space. The advantage of screen printing is that it can be used on any type of surface, be it smooth, rough, flat or uneven. This is why it is used on a wide variety of materials including paper, textiles, glass, ceramics, wood, and metal. Screen printing is popularly used in printing graphics on clothes or pieces of fabric. Screen printing is feasible only if a repeated item is required to be printed in bulk. It is not cost-effective if used for a small number of orders. If you are planning to print something, take its advantages and disadvantages both into consideration. By knowing your printing requirements, the process involved, and other factors in mind, one can create amazing designs using the low-cost compatible ink cartridges. If digital printing suits your requirements best, Printer Ink Cartridges can double the benefits with its premium quality compatible toner cartridges and compatible ink cartridges at lowest prices. 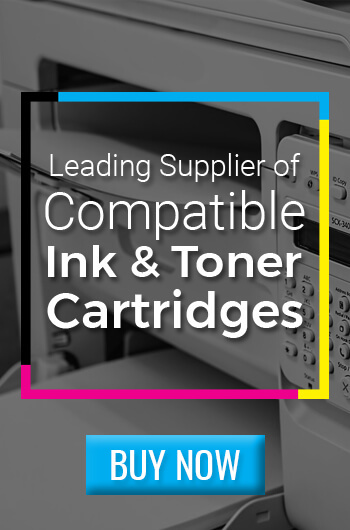 UK’s leading online ink cartridge store houses consumables from leading brands including HP toner cartridges, Brother ink cartridges, Canon ink cartridges, Epson ink cartridges and many more. Printer Ink Cartridges cuts down your spending on printer inks by up to 70%. 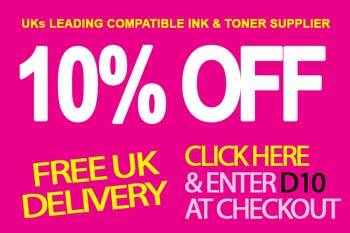 If you are looking out for the best compatible ink cartridges in the UK, you have come to the right place.